I have taken my Phantom 2 Vision + near the beach and 3/4 motors ingested sand to where I can hear the sand grating when I turn the motors by hand. I was hoping to clean these with some putty but I CAN NOT TAKE APART THE MOTORS!!! I have attempted to follow guides and can take off the metal clip and washer, but then not sure how to separate the magnets. Does anyone have experience doing this? Thanks for any advice! Not sure what you mean by separate the magnets. If you mean how to remove the top can which has the magnets from the armature / base it is easy. After you have removed the circlip just pull the can assembly off the armature. The shaft will come off with the top can. There is usually a small washer that may be under the circlip. Make sure you do not lose it as you will need it during reassembly. The magnets hold pretty strongly but do release when enough force is applied. Make sure you pull straight out and do not bend the shaft. The top can you can wash in water just thoroughly dry afterwards. You may want to air blow the motors and oil the bearing before reassembly. Thank you both for your replies! Means a lot. I watched the video, and tried to follow your comments, Joe, but it doesn&apos;t seem to separate. 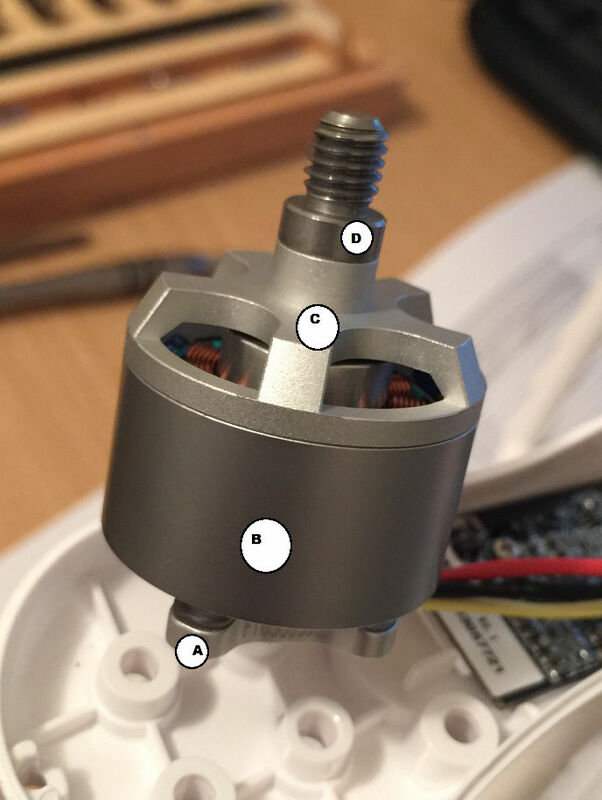 In the picture of the underside of the motor, you can see I&apos;ve removed the circlip and the washer, but the shaft will still not move through the bearing. In the picture with letters, I&apos;m assuming that "A" is separate from parts "B,C,D" and will separate out the bottom while "B,C,D" stay as a unit and can be extracted toward the top of the picture? The shell and bearing (B,C,D) are stay as a unit, and the button is separate. 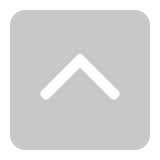 The button "A" unit - so A should pull away from the rest? Blow as much of the sand out of the motor(With Keyboard Cleaner)as possible.Try not to rotate as much as possible.Slightly wiggle(No Full Rotations) while using compressed air(In Can).This step should loosen any lodged sand particles.After that is successful,just pull apart.Sounds like the sand particles have wedged the two halves together.Good Luck. Thank you! I will try again and let you know of progress. I replaced one of my motors last month because i had somthing get caught in mine. Long story short, after i replaced the motor i took the old one and tryed to take it apart to see if there was any damage inside. I removed the clip and washer and no mater what i tried i could not separate the outer part from the center. All the videos i found were for the older style motors. Somthing has to be diffrent with the new style motors. In conclusion, I may have to side with stock12to32 and say that it seems to be the same motor. Despite all your very helpful suggestions I just cannot get it to separate. I have followed JMichael Starle and removed most of the sand that way, and am re-assembling. Perhaps someone will find a way to do this one day, but for me I took the long way around. 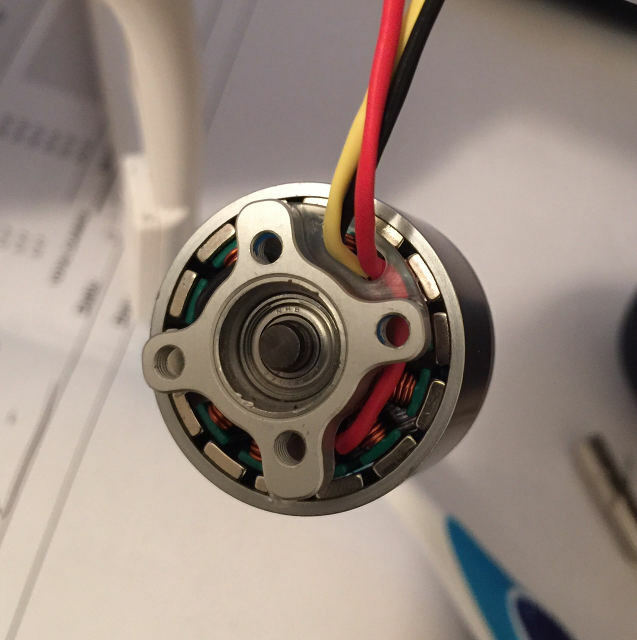 Do you see any set screws holes on c or d. Some other motors have set screws. I have not opened the 2312 motors but all motors I know of open up. Is there anyone who has figured out how to take apart the motors ?? Hi, had a similar problem yesterday, 2 Phantoms fell in sand on a Motocross track upside-down. One had fallen with motors shut down there for it is little better, second one was working with motors full off sand. I could not too disassemble those, called a pro who works in repair centre, he could not too do that even with a motor being put in a grip with a prod on, he was pulling by the prop and did not manage too. Hell DJI!!! Why you are always changing something, even with a type of screws being used to assemble the Phantom. Not the case, the guy gave me an advise I will follow, it seems that the preauser of air duster for PC is not enough to blow all away, I will go to tyre centre or even better petrol station with air machine and will try with it. Hope it will help. Any one try unscrewing "b" out of "c" to see if they threaded it? yep, did not budge. next idea? they are really discouraging us from cleaning the motors...i fly at a beach, i don&apos;t want to replace "new" motors all the time, I want to preventatively clean them and rotate them out in groups. Gentlemen. I have figured it out. You have to use an arbor press and press the shaft out of the motor. After removing the clip and the bushing, press out the shaft from the bottom towards the top. Look at the motor, see the screw threads, look below them and you will see a separation line between the top of the bell housing and the threads. That is where the shaft will separate from. I will shoot a video and post it on youtube soon. You will be able to replace and or clean bearings in doing this. The motor is a little difficult to come apart but it will. You do not have to remove the shaft all the way, just until you are able to pull the two pieces apart. Nice press fitted motors. That means the tolerances are tighter. Hi leeblynch, I have the same problem...my phantom turn upside down on liftoff (strong air current) and kept working for some 7-10 seconds until I turned it off. I got a lot of sand inside the motors. Did you post a video for this issue? Any pointers on how to start cleaning? The newer motors are not able to be disassembled with out a press. The newer motors a press fitted and cannot be simply disassembled. Best you can do is blow them out with compressed air while gently turning them. I&apos;m sorry for just now replying to your post. Just seen it posted here on the forum. Yes I did make and post a video on youtube. If you go to youtube, search for leeblynch and those will be my videos of the motor. 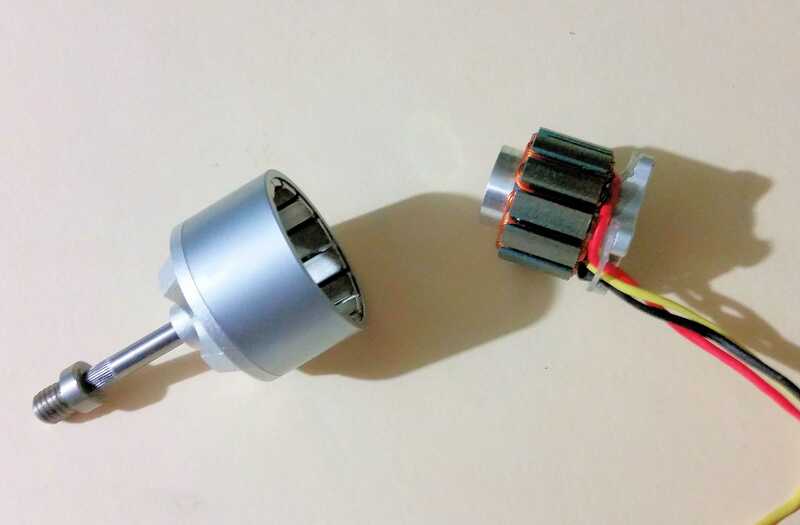 I have a 3512 cw motor from my inspire 2 that won&apos;t turn, physically stuck. Just can&apos;t separate top from bottom, any suggestion? Thanks. Your video was really helpful. 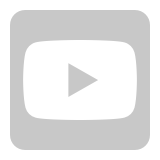 Thanks for great guide of video. I dismantle many different BL motors and the DJI motors are just a little more effort needed. BUT - if its just sand and grit - there really is NO NEED to dismantle in fact. Common household fresh water is fine to wash out the debris. Yes - honest ... remove motor and then literally put it under a tap running at full blast ... Or another way is to have a bucket of water and really shake that motor about in it ... the tap is best but bucket will do. Take hairdryer and blow out the water ... DO NOT start spraying WD40 ... horrible stuff ... but Contact Cleaner is fine. Before refitting motor ... apply a tiny drop of 3in1 cycle oil or best is Sewing machine Oil to the bearings ... spin them .... refit to model. Thanks for sharing this video, it is very helpful.